Coming into the Northampton EFL Cup tilt, there were distinct rumblings of the C word. Three defeats in a row had seen Manchester United drop from joint top to seventh in the table and come a cropper in our first Europa League game. The feeble collapse to lose against Watford was particularly worrying. Not to get too carried away with affairs, but this team is in a period of flux and still needs rebuilding. 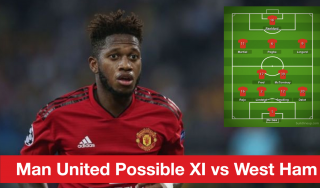 Before the Manchester derby, it might have been anticipated some of the lesser-lights or reserves would appear in the campaign’s first cup tie. Afterwards, the need to get a result rendered such an occurrence less likely. The Feyenoord game revealed deficiencies in José Mourinho’s supporting cast. His post-match comments affirmed that notion. It was therefore important for whoever was selected against Northampton Town to make a positive impact. This midweek’s three points examine who impressed, and who did not. Michael Carrick and Ander Herrera need to start against Leicester on Saturday. This is a no-brainer. The difference shown in the ball retention, range of passing, and control of match tempo shown by the Geordie was light-years ahead of that displayed in the previous three games. He does not have youth on his side, unfortunately, but that should not be an issue. Physical speed has never been his forte but he can see moves two or three in advance of most. Being able to quicken and calm the ball is essential at differing stages in games and Michael can do it better than most. It may be rare for him to be on the score-sheet but it was systematic of the man. No requirement for an extra touch and easing it past the despairing keeper. Carrick does require energy around him and this is where Herrera comes into the understanding on how midfielders should complement each other. 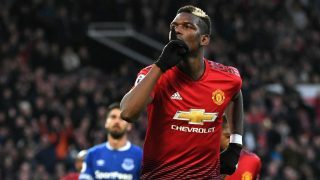 United held a dominance in this portion of the field and their manager felt it was necessary to bring on a player to start committing tackles to break it up. Herrera just seems to be able to glide past opponents however and is generally the most advanced behind the forwards. He was responsible for several moves until he began to find his shooting range. The Cobblers had been forewarned by an effort that hit the post earlier. A sweet connection from a Marcus Rashford put the Reds back in control. Leicester will aim to sit in this area and hit on the break. A player who can keep hold of the ball complemented by one who can find space between the lines is critical. The choice between Marouane Fellaini and either of these would always result in the latter. Marcos Rojo at should be deployed as a wing-back only. To say that it was a mixed display from the Argentine is an understatement. 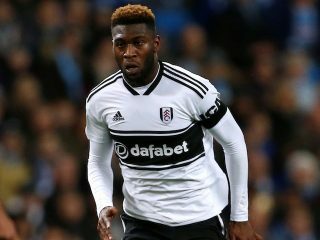 He, like Timothy Fosu-Mensah, was expected to provide the width down either side to compensate for a narrow midfield. During the early period of the first-half, this was achieved with a certain degree of success. 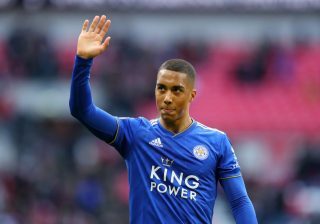 He combined well at times and flashed a couple of dangerous crosses into the area which, unhappily, were not backed up by an on-rushing attacker. Northampton was finding it difficult to get out of their own half, with balls sent forward easily swept up. It was in the other side of his job where Rojo was hopelessly lacking. The left-back was too often being caught in possession in risky positions, offering up scoring chances, or conceding set-pieces. The ten-minute period just before half-time saw United at their very worst. Opportunities to clear were spurned and Northampton’s pressure finally paid off. Rojo’s woeful header put Daley Blind in an impossible situation, allowing Alex Revell to level from the spot. As the second-half wore on, United reassumed control was wrestled back, and Revell’s zealous work ethic took its toll , making it easier for Mourinho’s crew to see out the game. 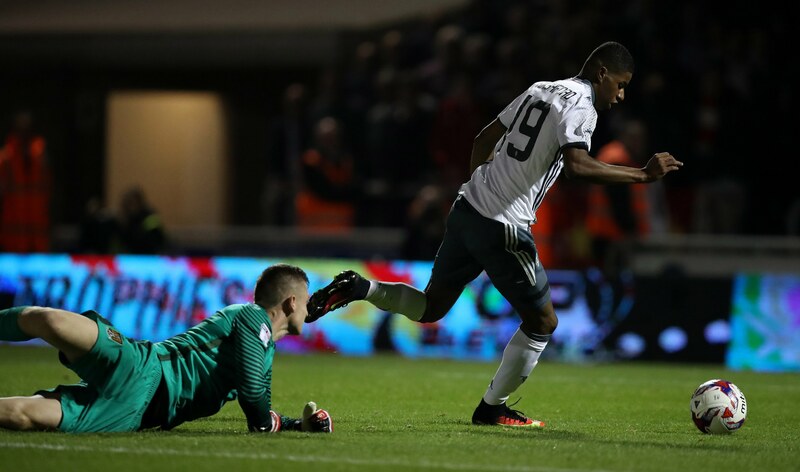 Many fans were amazed that Roho stayed on the pitch, rather than Fosu-Mensah, although Ashley Young’s ability to drop back on the right dictated the manager’s decision. If Rojo has any place in this side, it is only as a wing-back in a 3-5-2, having only been kept on as a back-up to Luke Shaw. Despite Shaw’s mistake on Sunday, the speedy ex-Saint is bound to be first choice. It seems implausible for Rojo to feature under the current set of tactics, in my opinion. Rumours said he had an opportunity to join Valencia in the transfer window. What to do with him now is up to José. Wayne Rooney: play in your position or don’t play at all. It seemed a bizarre move to begin with the captain in this particular game. 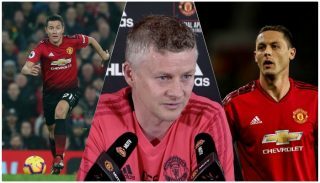 He was set up as a straight-forward number nine, with support coming from Memphis Depay and Ashley Young. When questioned by the Sky cameras beforehand what he wanted from the player, Jose was straight to the point. ‘Goals’. The pomp and verve á la his form of 2010 and 2011. A response was demanded following his limp display at Vicarage Road. Wayne did put himself about in the early stages. He shot at the keeper in the first minute and was guilty of a dreadful miss a few minutes later. At least he was holding his position and providing a focus point for the attack. His indirect free-kick led to Carrick’s goal. Frustratingly, that begun to fall away. If your main forward is appearing on the right-wing, or near the centre-circle, things are going wrong. Dropping off to pull defenders out of their comfort zone, allowing runners free aim, is the intention under certain systems. Not this one. Maintain your discipline, even if you are not seeing too much of the ball. Your purpose is to allow an outlet for the team and provide a link-up with the midfield. Or else balls played forward are too easily mopped up by defenders and keeper. He is consistently making the wrong choice at the wrong time. This is not the efforts of a young and inexperienced forward. He has been around long enough now to play a lot cleverer than what he has been. To me, it is a straight choice between him and Zlatan Ibrahimovic. Wazza has to prove that he can be that out-and-out number nine or else face time on the bench. The champions are going to prove a far tougher prospect at the weekend. Let’s all hope that he heeds the right advice in order to bring out the best of his players.